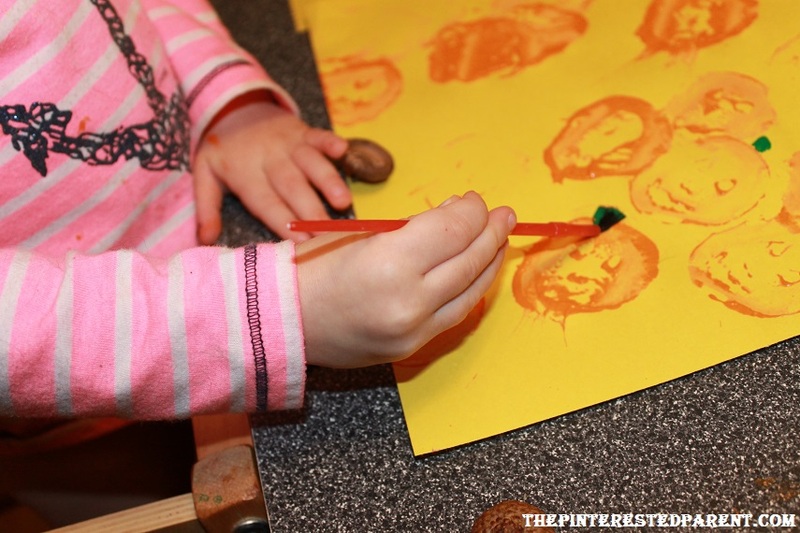 There have been pros & cons to these past few months of daycare. The cons are the early morning battles with my daughter over getting dressed & out of the house and her refusal to nap at daycare, which has made for a cranky toddler in the evening. The pros outnumber the cons though. The socialization has been wonderful for her. She is a very social child & needs that interaction. She comes home with adorable stories about Ava, Kira & Henry. Miss Laura her daycare provider has made it easy for this overprotective mommy. She will send me text updates when I request them & sends us home with detailed reports of how she ate lunch, her bathroom details & her lack of nap during quiet time. 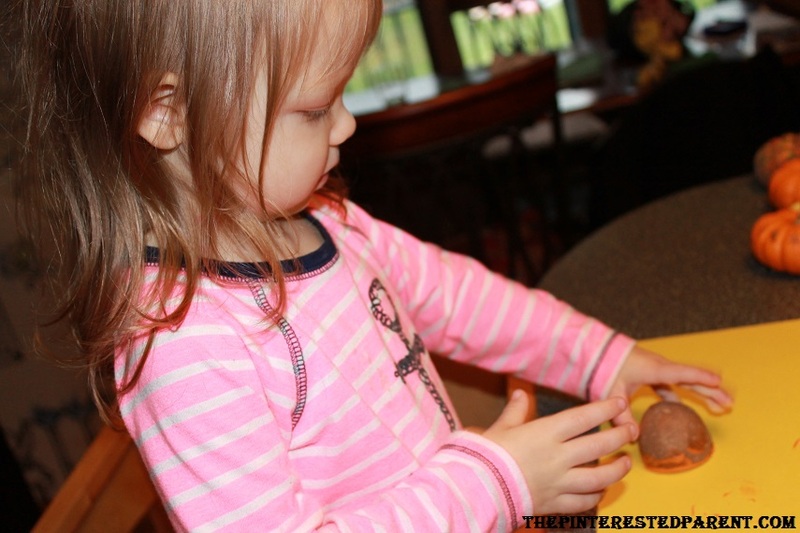 Another perk is seeing all of the artwork & creations that she brings home. Some activities Mai likes better than others. The ones that she enjoys, we of course have to try at home. 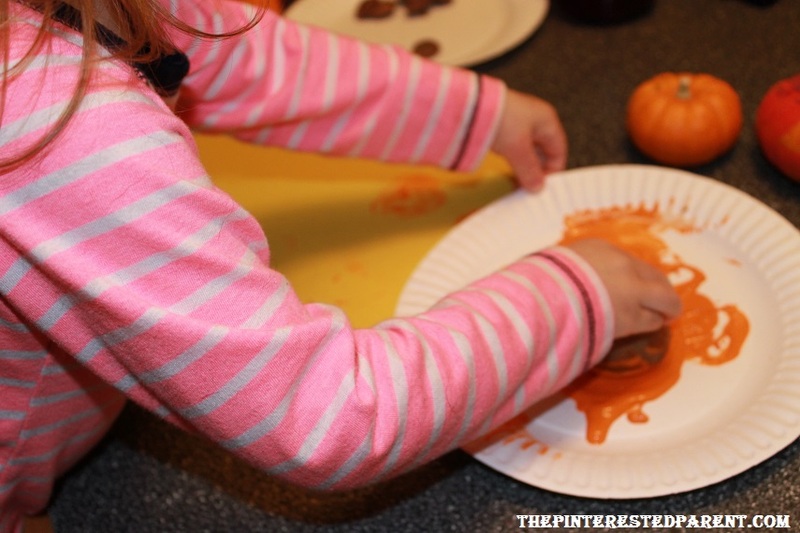 Her last craft was apple stamping. I was not surprised when Miss Laura told me how much she liked it & how well she did. She does love painting after all. 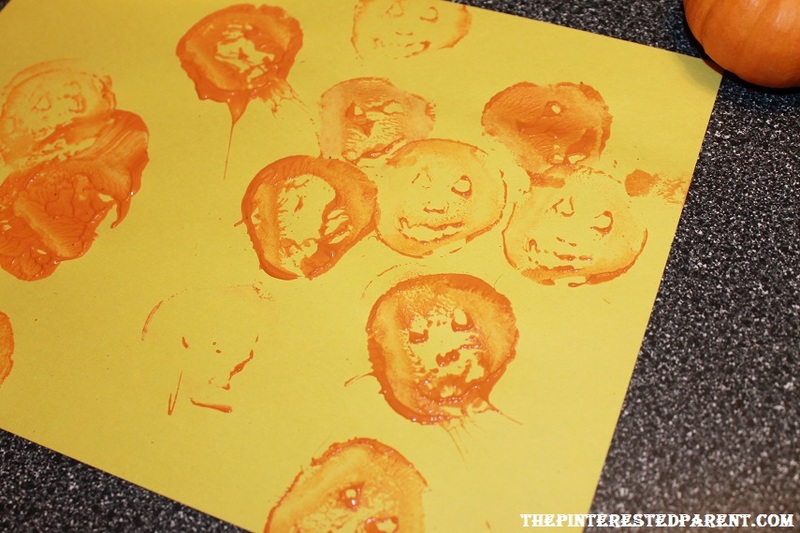 I have seen stamping done with different foods before, but it was one we have yet to try. If you remember my tale of the 10 pound bag of potatoes, it probably is not shock that I still have a few rolling around. Cut a potato in half. Be sure to use a good knife & make a nice clean cut. 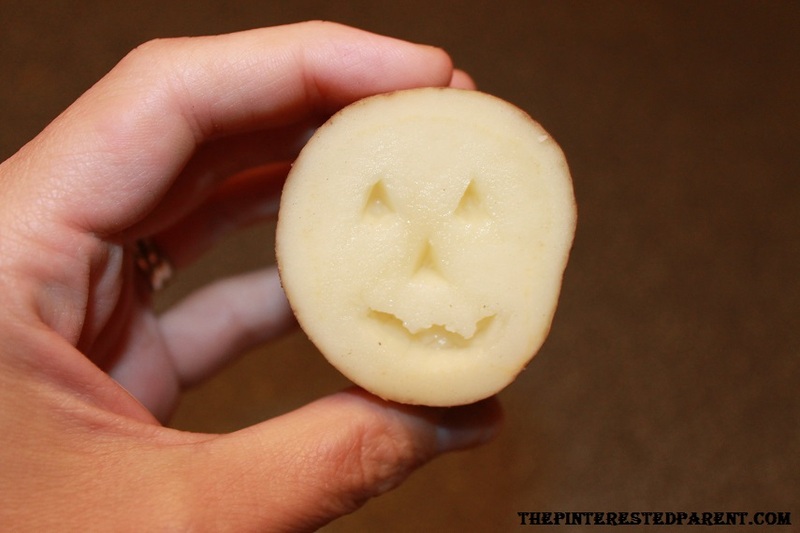 Carve out a Jack-O-Lantern face in the middle of your potato with a paring knife. 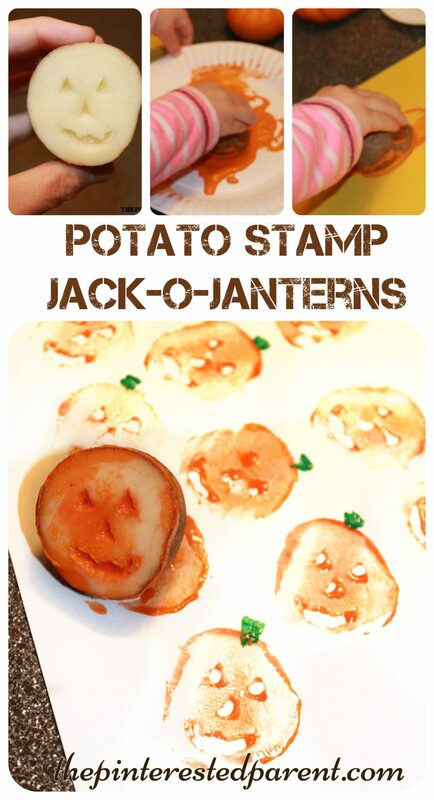 You may need to cut a little around the edge of the potato to make it stamp flat. 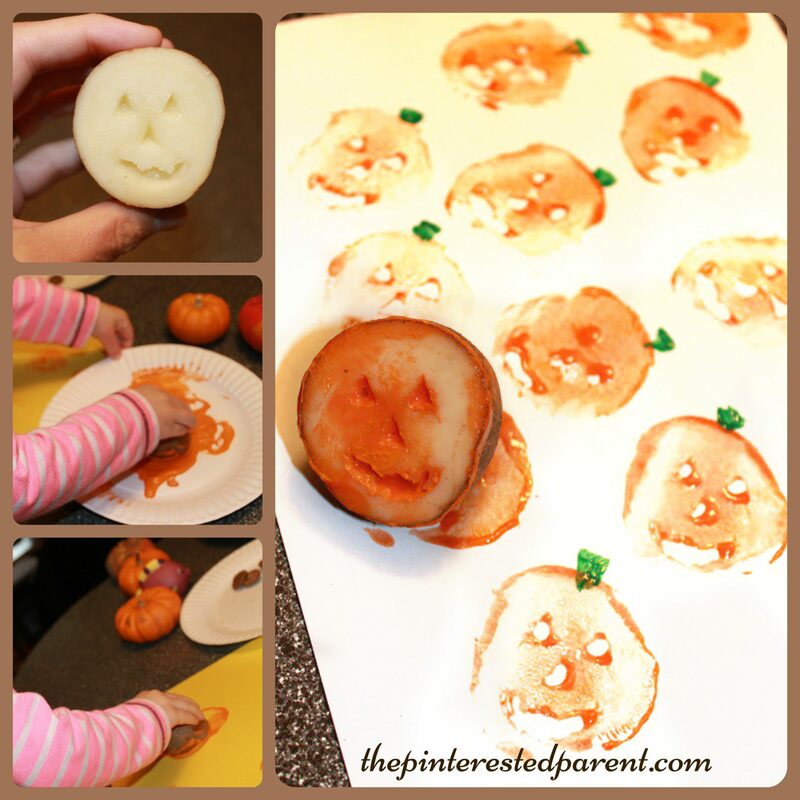 Let you child dip the potato in orange paint & stamp out the shape. With a paint brush, show them how to add the stems. 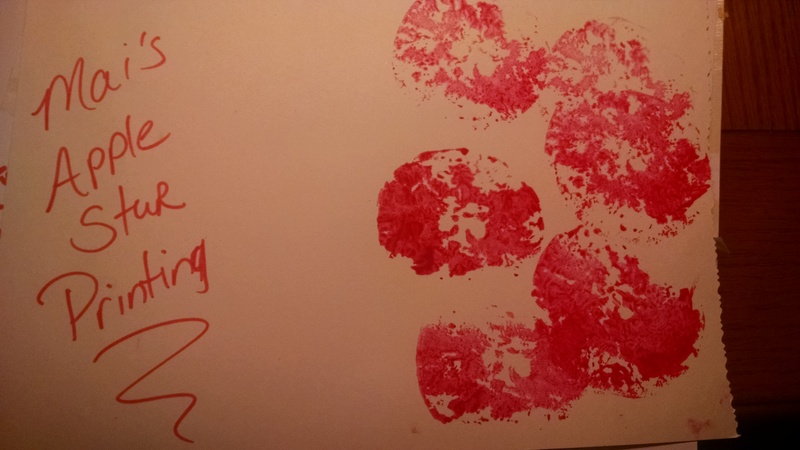 My little Picasso did it again. I would like to thank Miss Laura for the inspiration & thank you as always for stopping by. If you like us here, please follow us on Facebook. Thank you, Janine. 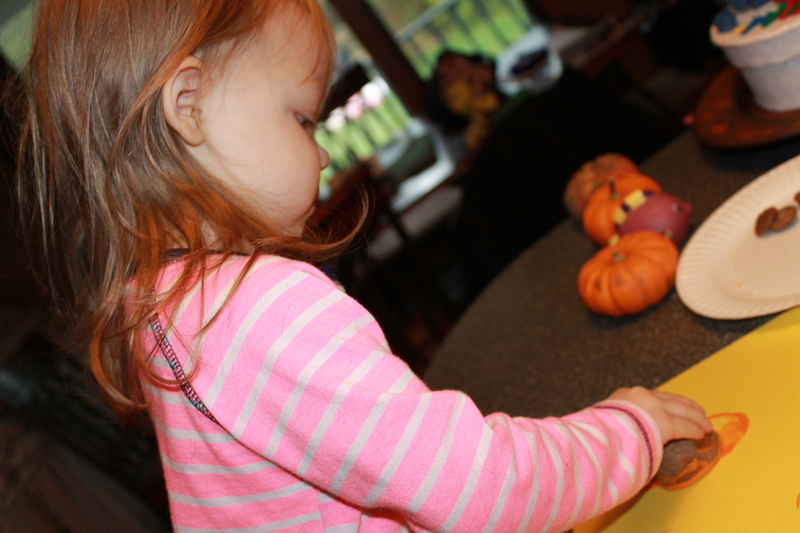 I hope you had a great weekend and that your munchkins are feeling better. Thank you. I sometime think I have more fun doing these things than her. Lol! these are just so darn cute! 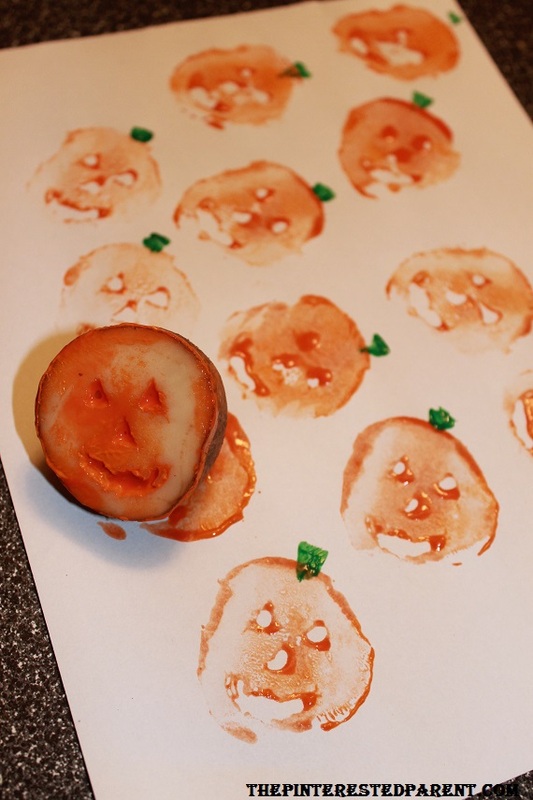 Thanks for letting me include this in my Halloween roundup going live tonight!